Worthwhile read if you wish to understand how government oversight of industries means nothing. It is very heartening to know that people like Brand and others mentioned in the book care about a fair market where most have a fair and equal chance to make "honest" money. The first 2/3 of the book was captivating, it read like a crime drama you could learn from. 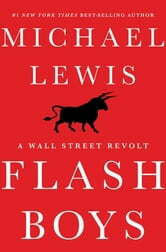 The last 1/3 got fairly technical and lost momentum but provided a good detailed look into the world of high frequency trading. Wall Street is rigged in so many different ways. It has always been that way to some extent but the advent of high speed communications and certain well meaning changes to sec oversight have created conditions where high frequency traders have been able to make billions from investors large and small. This book is the story of how a small group of individuals recognized that this was going and took steps to neutralize by risking to create an informal exchange. I must say I didn't completely understand all the technical jargon (and I consider myself fairly knowledgeable) so a second reading is in order. I know that many market participants are very unhappy about this book, but I guess I would be too had people proven that participants in the financial market we hold so dear were systematically enriching themselves at the expense of everyone else. 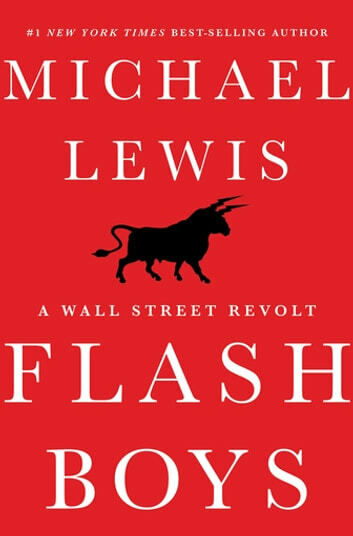 Another engaging and illuminating tale describing the unethical behaviors behind Wall Street insiders gaming the system to make enormous profits at the expense of all investors while adding no value... hopefully the book and some of the efforts related in it might result in cleaning up the system, at least until the self serving rats figure another way to fleece everyone.